and ensure they look to be correct. 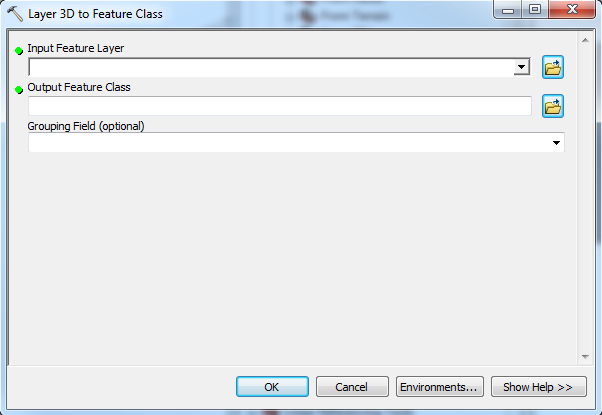 convert the extruded features to a ‘Multipatch’ feature class. 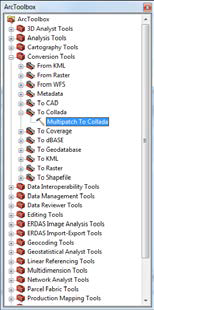 Input the corresponding Feature layer to be converted into a Multipatch, put it in a familiar directory for output. 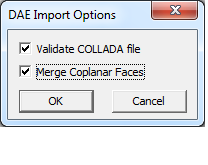 Again in the ArcToolbox > Conversion > To Collada > ‘Multipatch to Collada’ tool is what we will use to output a file in a format Google Sketchup® will recognize. Perform all necessary rendering tasks. Be sure to group all elements before saving. 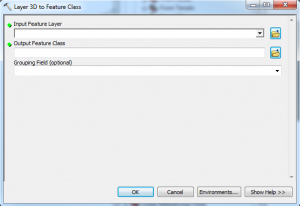 Add an empty or populated multipatch feature class into ArcScene or ArcGlobe. 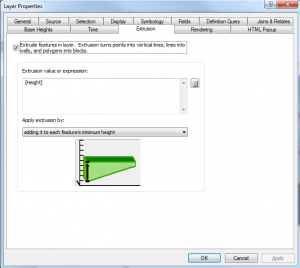 Begin a 3D edit session by clicking the 3D Editor drop-down and click “Start Editing”. 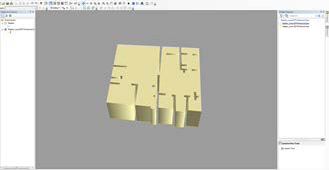 Click the Edit Placement tool on the 3D Editor toolbar. 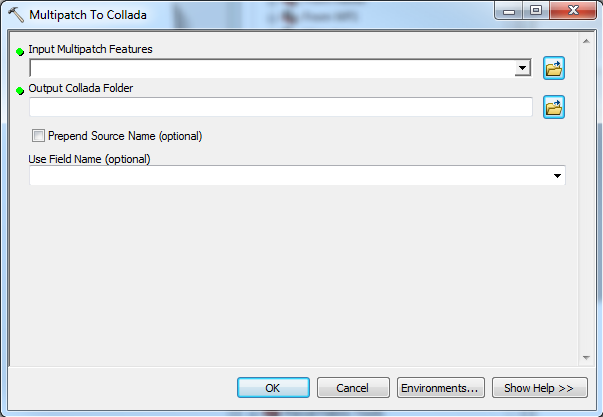 Click the multipatch feature in the Create Features window. 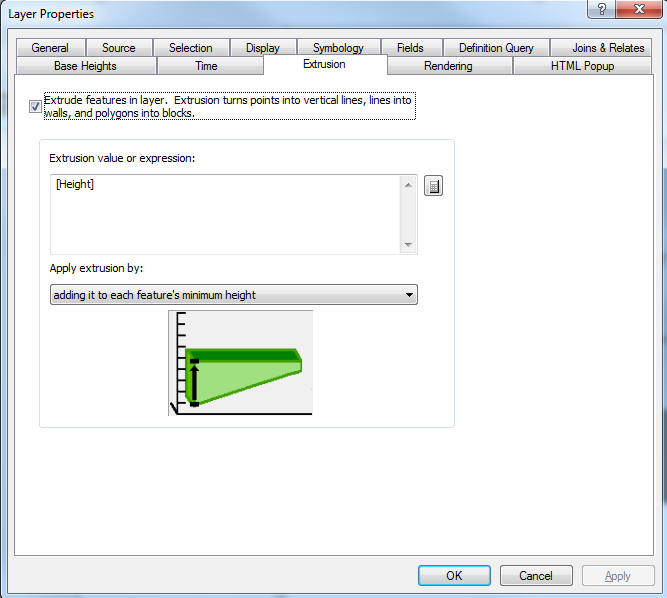 The Insert tool will appear in the Construction Tools window. 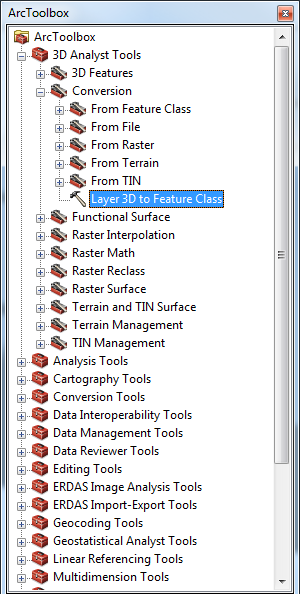 Select the Insert tool under Construction Tools. 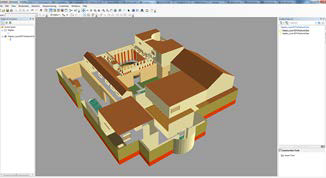 Click the desired location of the multipatch model in the 3D view. 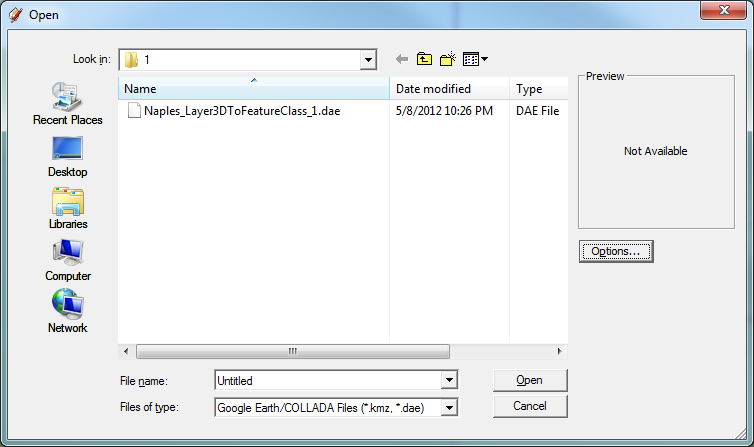 When prompted, navigate to the location of the supported 3D model file on disk. 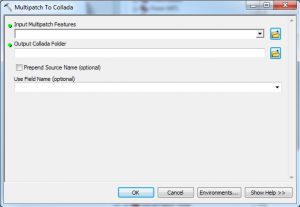 Select the model and click Open. 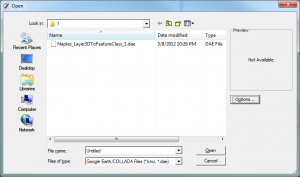 By following these steps you can bring your model back and forth between the two programs. Please cite this document as: Tenney, Matthew. 2012. 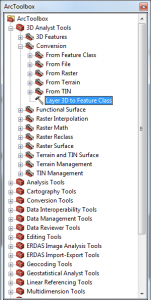 ArcScene to Sketchup to ArcScene.CAST Technical Publications Series. Number 9534. http://gmv.cast.uark.edu/modeling/software-visualization/sketchup/workflow-sketchup/arcscene-to-sketchup-to-arcscene/. [Date accessed: 22 April 2019]. [Last Updated: 22 March 2018]. Disclaimer: All logos and trademarks remain the property of their respective owners.